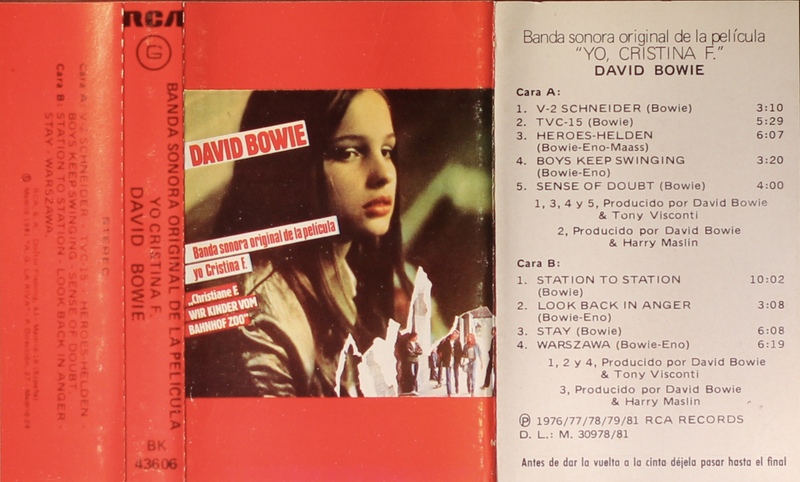 Christiane F: Spain; RCA, BK 43606; 1981. 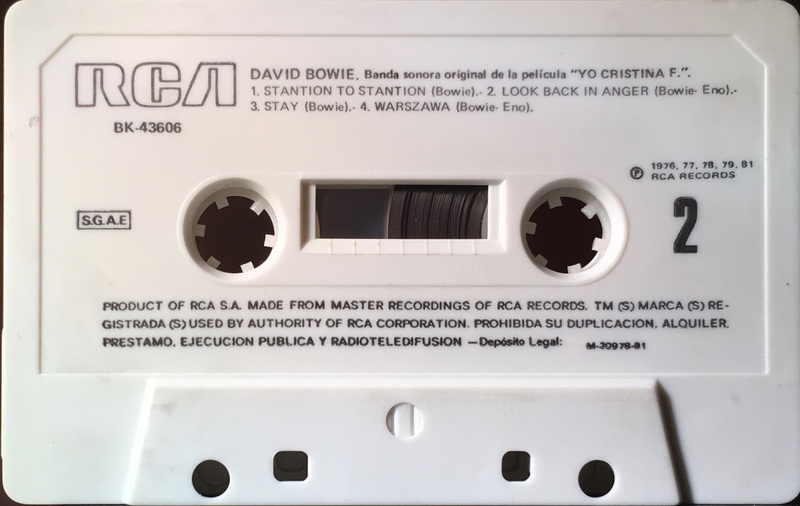 ‘Banda Sonora Original De La Pelicula Yo Christina F.’. Cover photo with red header, footer, spine and rear half-panel and white inner panel. Perforated, glossy, thick paper with track list on the rear and inner panels. Inside panels are blank. 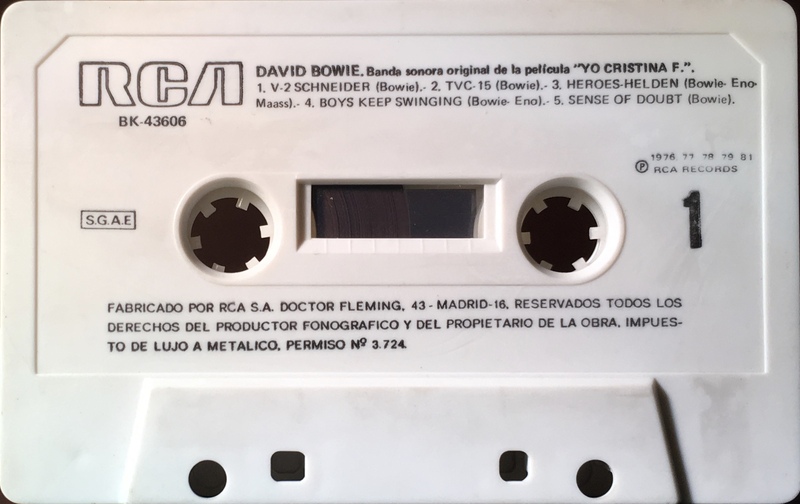 The cover photo is similar to the Spanish album sleeve but the RCA is missing from top right.